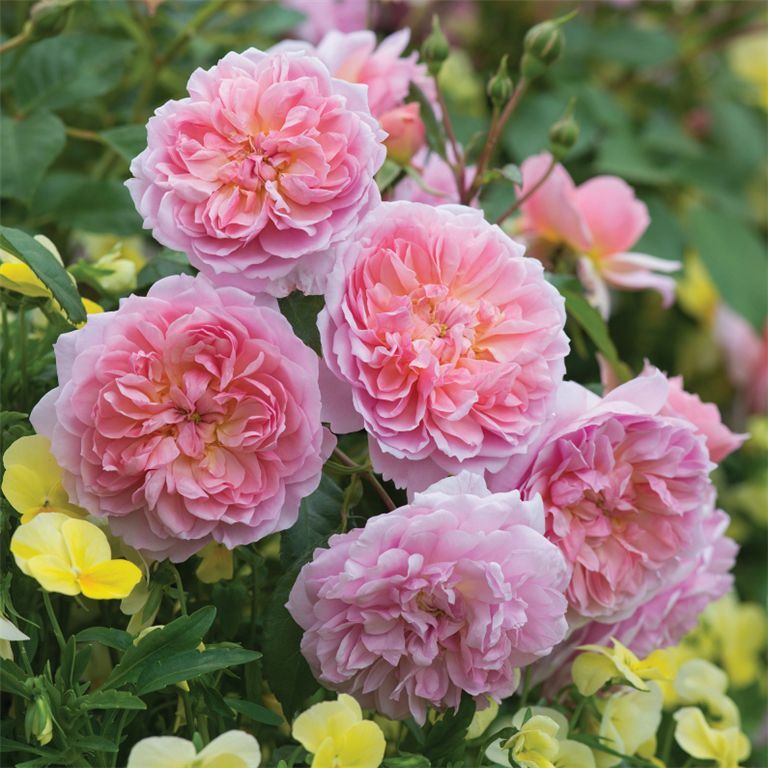 Take a look at our line-up of fragrant English David Austin roses. Our full selection offers a rose for almost every garden situation in Canada. The neat flowers are of nicely cupped, rosette shape, with symmetrically arranged petals in a soft shade of warm pink. There is a hint of a button eye. The scented blooms are produced in large sprays, with remarkable continuity. It has a soft green, highly polished foliage. 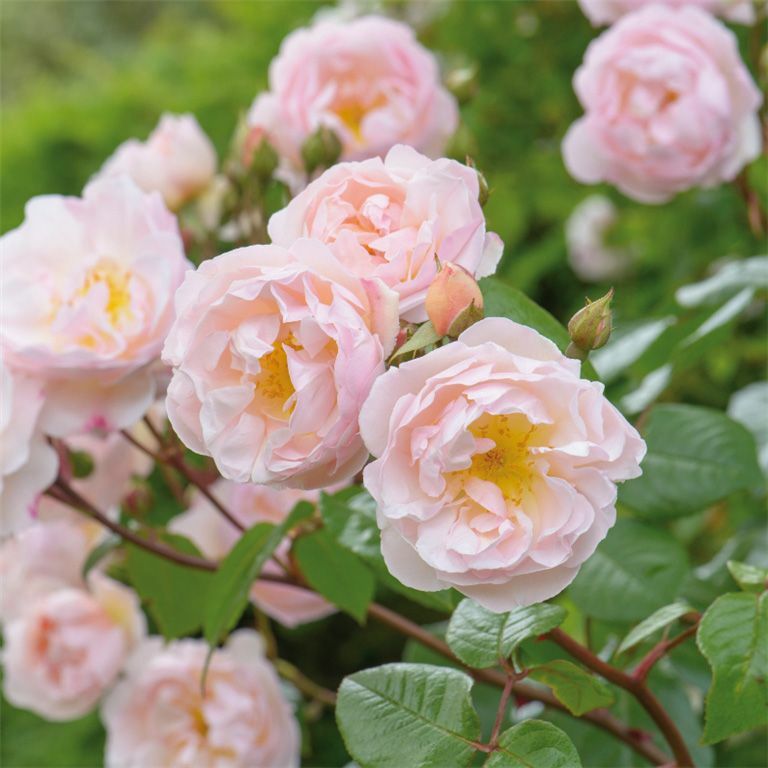 The whole impression of this rose is one of a pleasing freshness, both in flower and in leaf. Height: as a bush 3 x 3 ft. In every way, a superb garden plant. The blooms are beautiful at all stages, eventually forming perfect rosettes, with their outer petals reflexing back. 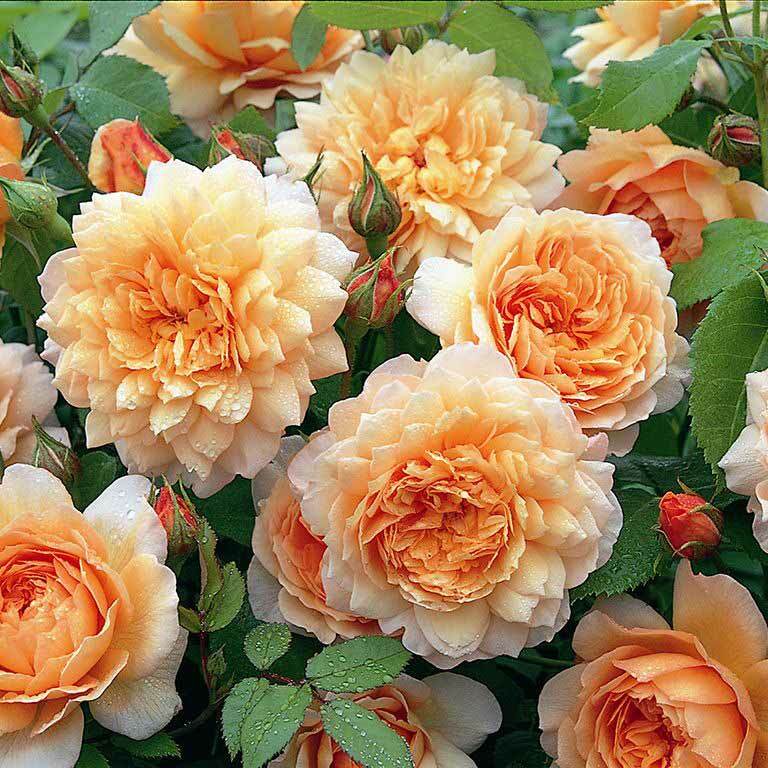 These David Austin roses are in lovely mixed shades of apricot with a delicious, warm Tea fragrance. It forms a very health, branching shrub. Height: as a bush 4 x 4 ft. 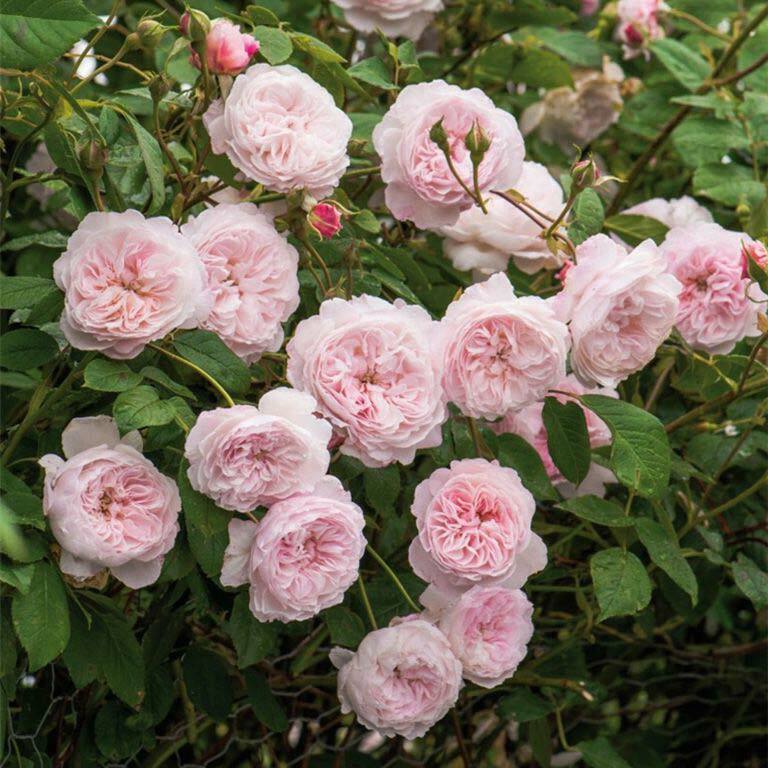 The small cup-shaped blooms of softest pink that pale to blush are held in large gracefully arching sprays. It is an exceptionally healthy variety that will do well with little attention and the flowers are not affected by rain. There is a light musky fragrance typical of the Sempervirens hybrids. 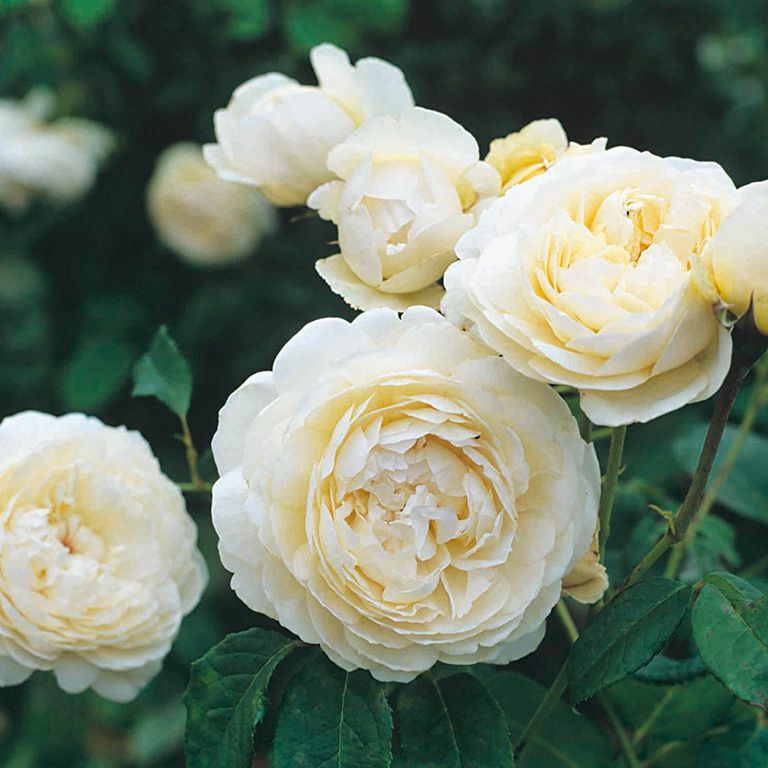 This amazing rose produces long and slender flexible stems that bear sprays of pretty, semi-double flowers. These are of a lovely, delicate blush pink colour and are of open formation, exposing a nice boss of golden stamens. It repeatedly flowers regularly throughout the summer. 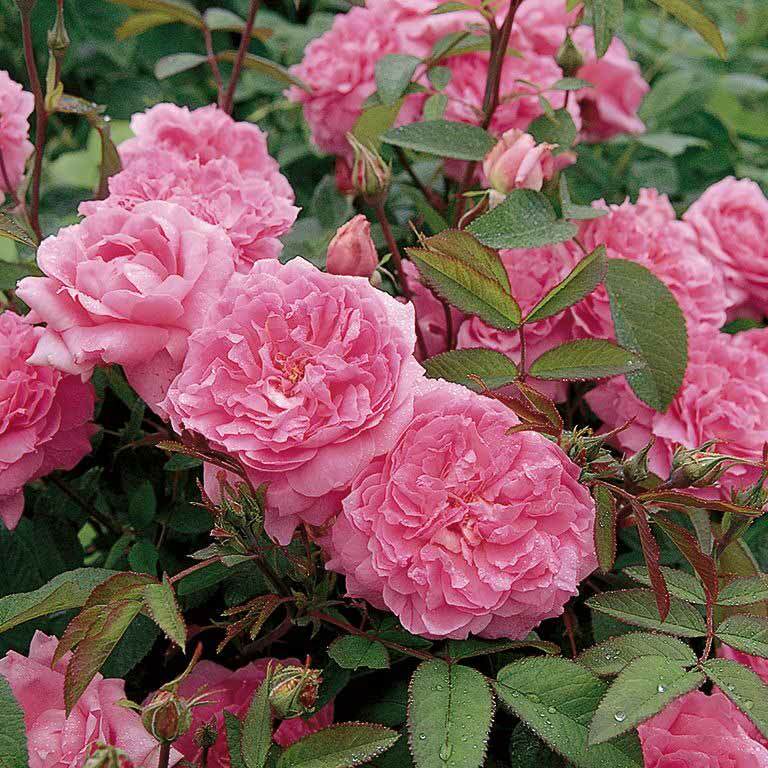 Height: as a rambler 15 ft.
A delightful rose illustrating great diversity found among English Roses. Some of the blooms are Tea scented while others move towards the scent of myrrh. This is an excellent rose for a mixed border, where its tall airy growth and flowers will associate well with plants of a similar nature. It has exceptional health and vigor. The name comes from Ralph Vaughan Williams’ piece of music. 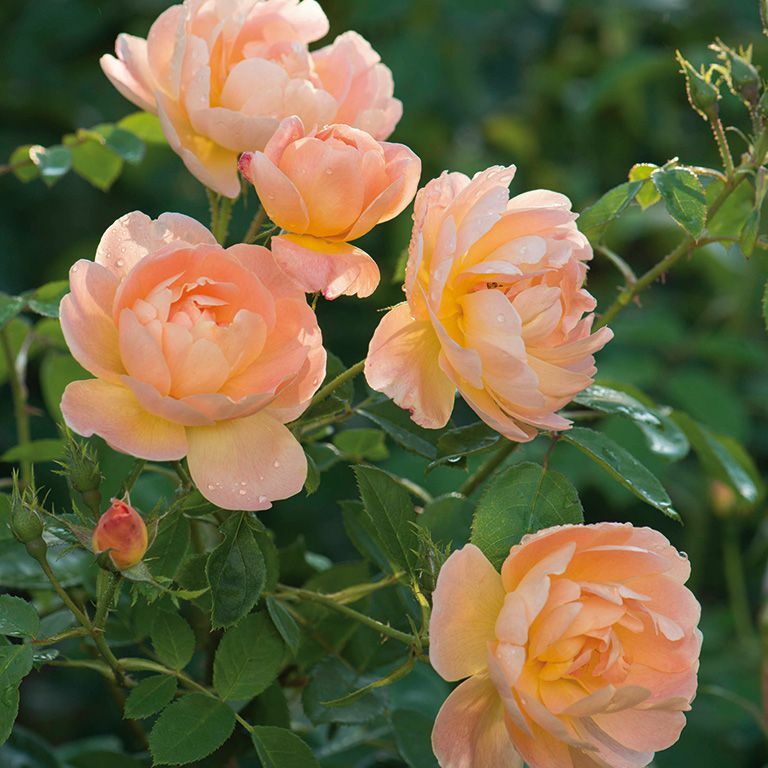 Height: as a bush 5 x 3 ft.
Charming, medium-sized, typically Old Rose flowers of light to medium rose pink. It starts to flower very early in the season, and is constantly in bloom to the end of the season. Performs best in cooler areas of North America where it is tough and extremely hardy. These David Austin roses show excellent resistance to disease. Height: as a bush 3.5 x 3 ft. Perfectly rounded buds open to full, cupped flowers. The blooms are rich cream, paling to nearly pure white. A delicious, fruity fragrance with a hint of citrus. 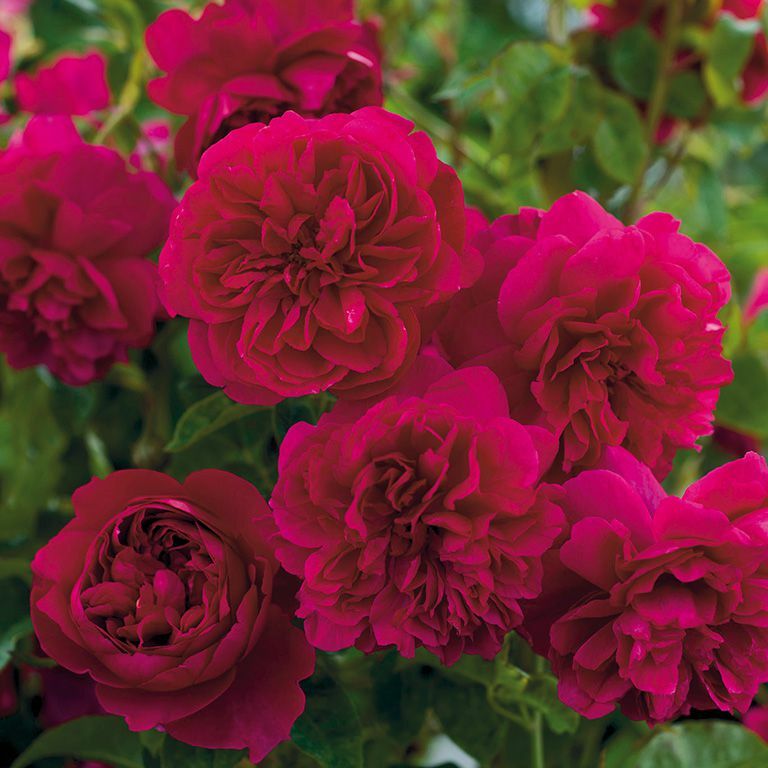 These David Austin roses are a very free-flowering variety which continues to flower until very late in the season. Produces many basal shoots that have the advantage of having few thorns. Also available as own root. Height: as a bush 4 x 3 ft. The cupped blooms, open as informal rosettes; the petals quickly reflexing as the flowers age. They have an Old Rose fragrance with a strong lemon zest character. A particularly strong and healthy variety that is named after an important Archbishop of Canterbury. Height: 4 x 3 ft.